MK Yogev speaks to PMs Bureau Director attempting to reach solution for MDA in Judea/Samaria. Knesset Judea and Samaria Sub-committee Chairman MK Moti Yogev attacked MDA's decision to close stations in Judea and Samaria. "The decision of the MDA Director to close from today some of the emergency stations of MDA services in Judea, Samaria, and the Jordan Valley, is an irresponsible decision that borders on risking life," claims Yogev. MK Yogev, who spoke on the subject today with the director of Netanyahu's office, added, "The Prime Minister's Office is supposed to sum up today with Deputy Health Minister Litzman the budgetary arrangement with MDA for 2019 and thereafter, or alternatively, deciding to transfer responsibility and budgets to United Hatzala to operate throughout Judea, Samaria, and the Jordan Valley. 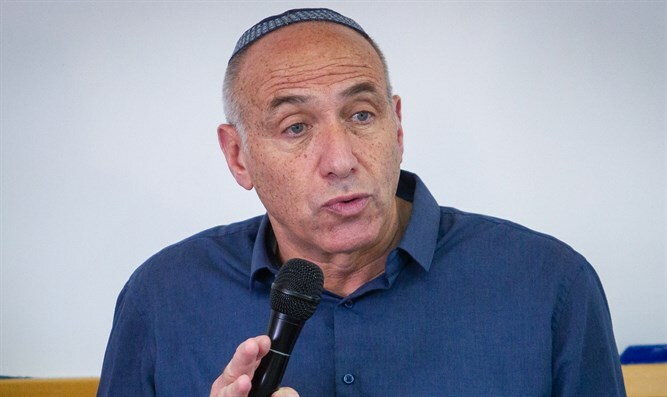 "To abandon these areas, including where there are many road accidents and an increasing security threat, is an irresponsible decision that, if life will be lost because of it, will be on the heads of those who have to bear this responsibility," Yogev claims. Yogev mentions in this connection that the life of officer Yisrael Meir Elitzur of the Kfir Brigade, who was critically wounded about a month ago during an arrest in the village of Naama in Binyamin, would not be alive today were it not for the emergency teams from the nearby communities of Gush Talmonim-Dolev.